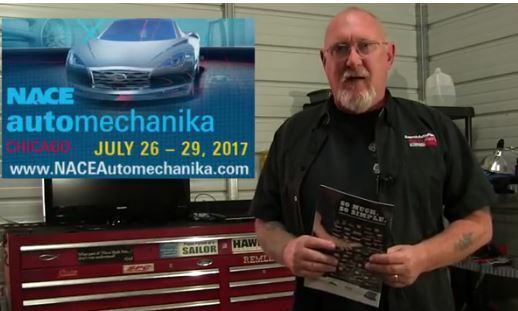 From painting to welding, estimating to shop management, vehicle scanning and more, collision repair professionals are promised they will find the courses designed for the by those who understand their roles best at NACE Automechanika Chicago. The courses run from 26 – 28 July and registration is now open and just to make sure you really get the most out of your trip, additional mechanical courses are available at no cost thanks to the event sponsor ACDelco, if you register with code ADCO2017. Generation “C” is not a demographic. It's everyone. Your existing and potential customers are all connected, and in control. Today’s connected consumers require businesses to connect, communicate, market to, sell and service them in the same ways they connect and communicate! • Works to move you away from hard set goal improvement and shows you how to set sensible goals using select KPIs. • Illustrates that profit improvement doesn't have to come from one area but can be achieved sensibly raising many areas a little. By now you’ve probably been exposed enough times to the importance of paying attention to your business’ online reviews. The importance of managing your online reputation cannot be overstated, you just need to know how to do it properly, and that is what this workshop will address.